Turn Off Your Cell Phones! Alamo Drafthouse in Richardson Has an Opening Date! Since 1997, Alamo Drafthouse Cinema has provided a unique combination of both theater and restaurant: showing first-run movies, independent film, and alternative content, while offering in-theater food and beverage service. Dubbed by Entertainment Weekly, as “The Best Theater in America,” by Time Magazine as “The Best Theater Ever,” and by CNN International as “One of the Top 10 Theaters in the World,” Alamo Drafthouse offers a movie-theater experience unlike any other in the world. The extensive menu features an array of freshly prepared food made in-house from scratch with a wide selection of craft beers, great wines, cocktails and adult milkshakes. Alamo’s attention to detail in film presentation and programming has made it a second home to movie fans all over the world, and Dallas/Fort Worth’s first Alamo opens in Richardson Friday, August 16, 2013. 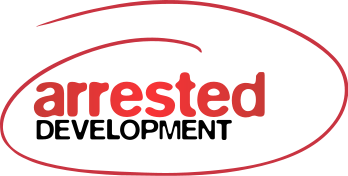 So, are you Arrested Development-out yet? Maeby? Probably not. Now it's time to rewatch the series again! But if you need a break from the Getaway, Getaway and Faceblock, I have some foreign films for you to check out this weekend. 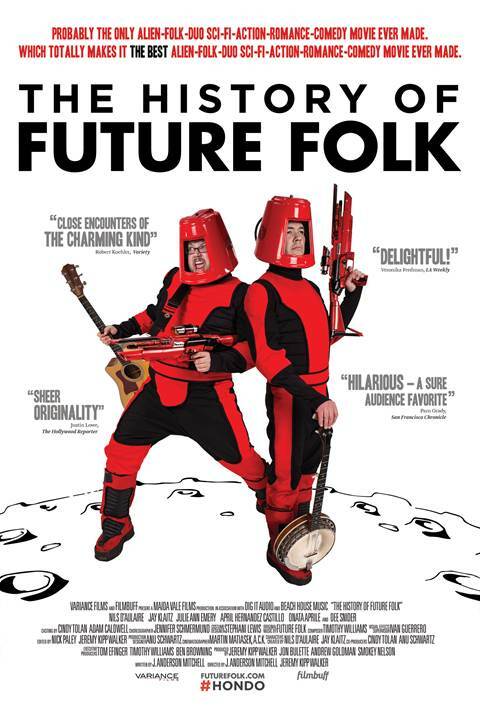 THE HISTORY OF FUTURE FOLK is a clever romantic comedy musical with amazing songs that I got to see during last year's Fantastic Fest. It tells the very "real" origin story of the bluegrass duo, Future Folk, as its two members, who hail from another planet and discover music on planet Earth. Think an outer space version of Flight of the Conchords. It opens in NY this Friday, and LA next Friday June 7th, while hitting VOD on June 4th. Recently, Future Folk have taken to the press circuit to promote their movie. Check out the video as well as the synopsis for the movie below. Synopsis: 30 years after the original attack, a new Godzilla comes to terrorize Tokyo. 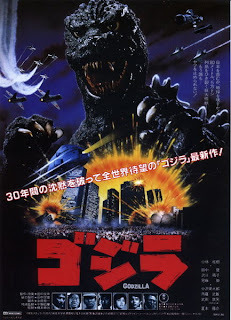 When he destroys a Russian nuclear submarine amidst the Cold War, the tensions mount while Japan tries to find a way to defeat him. 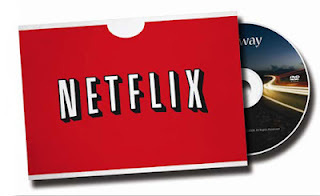 Netflix Instant: TV & Movie Picks - Racing Edition! This week, the only movie you should probably see that's a wide release is FURIOUS 6. With that in mind, I thought of a few movies/TV show that involve racing in some way. 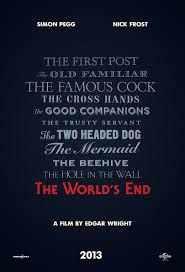 Edgar Wright is one of my favorite directors. His movies have always struck a chord with me in one way shape or form. 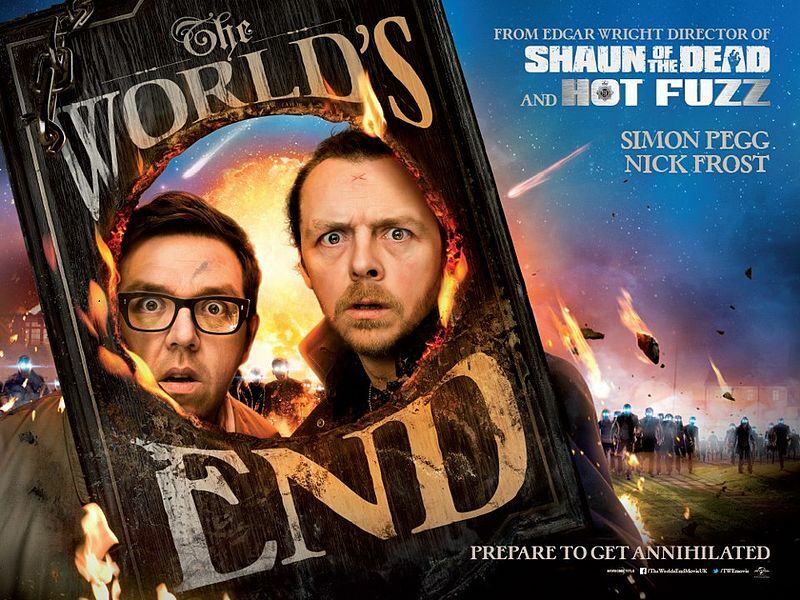 THE WORLD'S END, his reunion with Simon Pegg and Nick Frost, looks to be just as funny as the other movies he did with the duo, plus it's about a pub crawl with evil robots! What could go wrong? Thanks to Edgar Wright for point out the release of the trailer, which you can check out below. The concept of vampires has become a pop culture punching bag thanks to a deranged Mormon lady with terrible grammar skills. 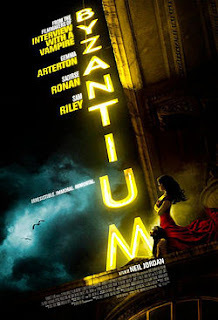 Back in the day, director Neil Jordan directed one of the best vampire movies, INTERVIEW WITH THE VAMPIRE and he is continuing his love for the mythical creature in his new movie, BYZANTIUM. Thanks to the Apple Trailers site, we have the full length trailer. Check it out below. 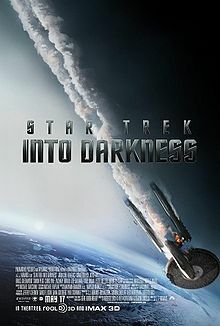 Forget all the whimsical and introspective teasers and the epic full length trailer (though that one is pretty awesome). 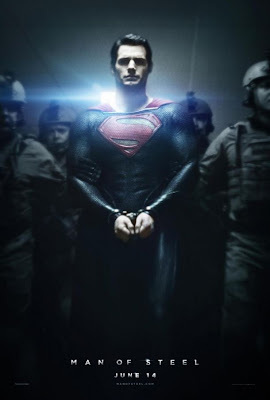 This new MAN OF STEEL trailer focuses on the person who will more than likely steal, no pun intended, the film, General Zod portrayed by Michael Shannon. I have complete faith in Michael Shannon and his capabilities to portray evil. In fact, he's the main reason I've been so excited for this film. We got a few seconds of his crazy eyes in the epic trailer, but here, we find out a little more of his intentions. This trailer also shows more/different pieces of action that he haven't seen in previous ones. Oh yes, and it has a bit more Amy Adams. About a year ago, we kept hearing rumblings of this horror anthology film coming out of Sundance called V/H/S. So we trekked down to the Oak Cliff Film festival to watch it. We gave it mixed reviews, with Javi not caring for it and me being a lukewarm. 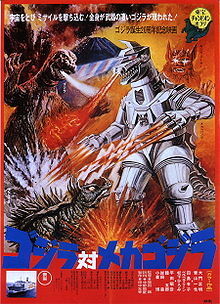 Then, of course as with most horror films, a sequel must come out. 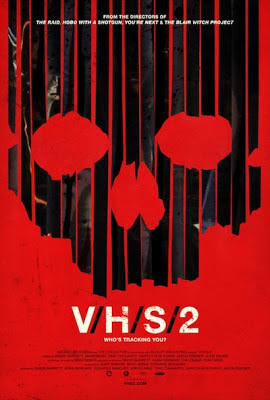 However, rumblings about V/H/S 2 has become increasing positive. It seems that the film makers heard the complaints and have fixed the problems the first had. Instead of five short films, there are only four, and the bookends is more cohesive. Plus, the segments have some fantastic directors: Adam Wingard (YOU'RE NEXT), Jason Eisener (HOBO WITH A SHOTGUN), Timo Tjahjanto (ABC'S OF DEATH), Gareth Evans (THE RAID), and Gregg Hale and Eduardo Sanchez (THE BLAIR WITH PROJECT). Check out both SFW and NSFW trailers after the break. 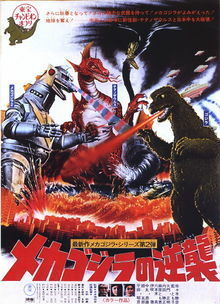 Synopsis: Picking up immediately after the events of the last movie, a group of Interpol agents investigate the disappearance of a renowned scientists, while the Simeons work to rebuild an improved Mechagodzilla. This seems to be the month to talk about English director Ben Wheatley. 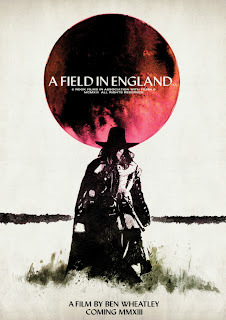 His amazing movie, THE KILL LIST just came on to Netflix Watch Instant, his newer movie, SIGHTSEERS is currently out on VOD and today, thanks to the YouTube page for Picutrehouse Cinemas, we have a new UK trailer for his next movie, A FIELD IN ENGLAND. As to what exactly is going on, I have no clue... The synopsis is just as confusing but all the more intriguing. Check out the trailer below. 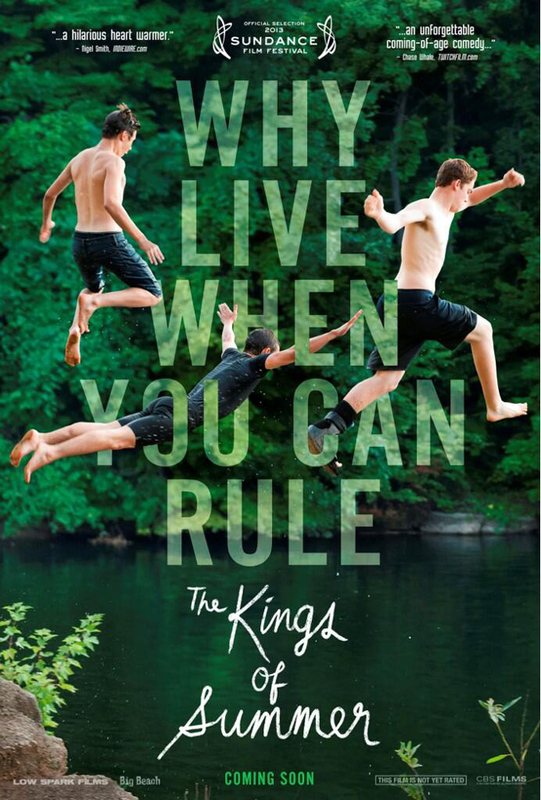 While I was not too keen on the previous KINGS OF SUMMER trailer. It definitely seemed to catering to the standard indie arthouse theater crowd. This new trailer, courtesy of Funny or Die, is the closest thing that replicates the experience of watching this movie. I particularly love the way it takes the beat that kids are banging on the pipes and transitions to a rap song. But enough of me talking. Check out the totes NSFW trailer below. I'll make this short and sweet. 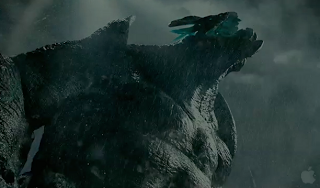 The newest PACIFIC RIM trailer's focus seems to be hyping up what look to be astounding action sequences between the Jaegers and the Kaijus. The trailer comes courtesy of Warner Brother's YouTube channel via Badass Digest, check it out below. How's everyone? Hanging in there. May can definitely drag on and on, but thankfully some interesting Netflix picks to keep you going. Again, as always, my picks are very eclectic and very un-themed. I'll admit it, I was a fan of CHORNICLES OF RIDDICK, which was the sequel to the sci-fi horror movie PITCH BLACK. Much like FAST FIVE and the new FAST & FURIOUS 6 also starring Vin Diesel, it expanded on the universe of the predecessors in a way that was very unexpected. 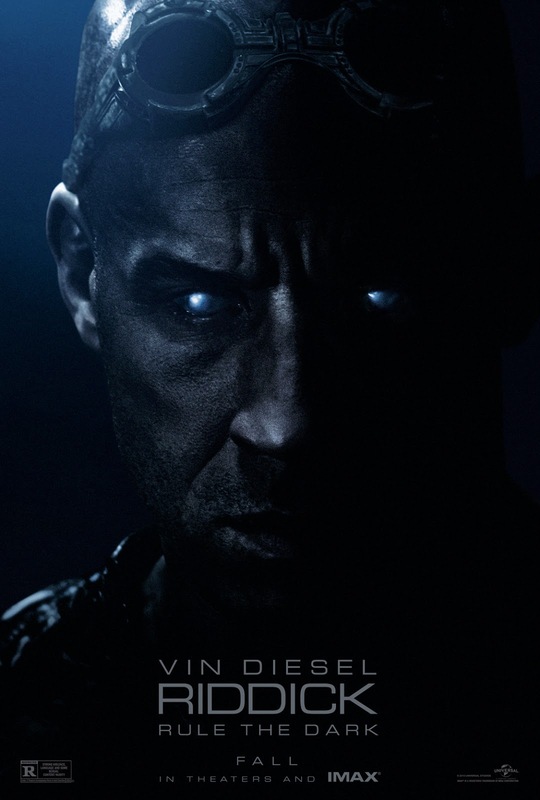 The new trailer for the third installment in this series, RIDDICK, seems to have skipped out on the fact that CHRONICLES occurred, which is a shame. If you've seen the movie, you'll know why. On the other hand, I'm down for seeing Riddick go around and mercilessly hunting people again. Check out the trailer below, which comes to us thanks to the guys over at Latino Review. 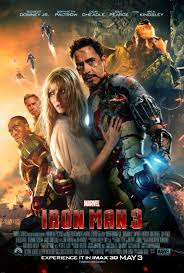 Phase two of the Avenger's films has just begun with IRON MAN 3 on the verge of making close to a billion dollars by the time its run is over. 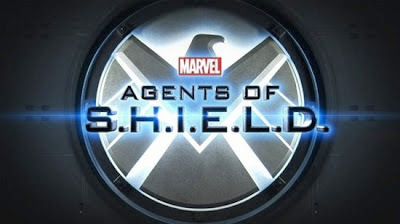 There are still several more movies coming down the pipeline, THOR: THE DARK WORLD, CAPTAIN AMERICA: THE WINTER SOLDIER, but to sustain your appetite and expand even more into the Marvel universe, ABC has picked up Joss Whedon's series, Agents of S.H.I.E.L.D. 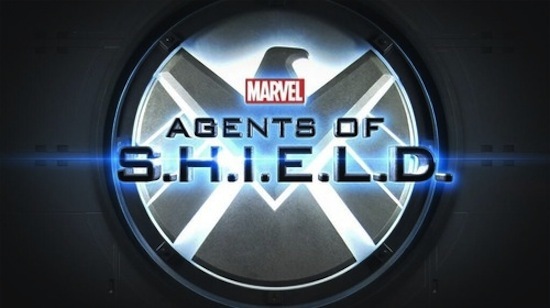 Agent Coulson is back from his supposed death by Loki, which is a conversation for another time and place, and has put together a team of S.H.I.E.L.D. (Strategic Homeland Intervention, Enforcement and Logistics Division) agents to investigate strange cases. After many toils and troubles, including being canceled by Fox, Arrested Development season four is just a couple weeks away from premiering Netflix Instant. The whole season will drop at once over Memorial Day weekend, so now the question lingers among fans...do you marathon the hell out of it or watch an episode a day to savor and process the brilliance that will surely happen? Either way, grab your banana, dust off your old "The Final Countdown" single, and kiss your (maybe? Maeby?) cousin and check out the trailer after the break. This week we had the unfortunate news that legendary special effects artist, Ray Harryhausen passed away. In his honor, I wanted to recommend some of his movies available over streaming. However, that proved to be more difficult than expected. I'll be posting a memorial post later, but in the meanwhile, here are some amazing movies that just came on to Netflix Instant. Wow. This is an amazing trailer. The movie is the first effort from director Alfonso Cuaron since his now-classic science fiction classic, CHILDREN OF MEN. 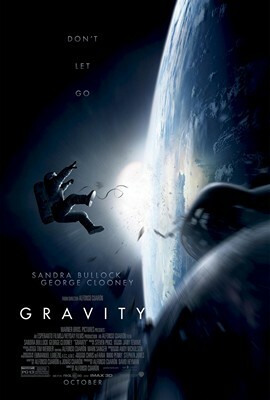 To say that this movie is highly-anticipated by the movie geek world is an understatement. See why after the break, and thanks to Badass Digest for the heads up. THE WORLD'S END International Trailer Wants You to Have a Pint! It's finally here. After an almost ten year partnership, the culmination of the Three Flavours Cornetto Trilogy is upon us. 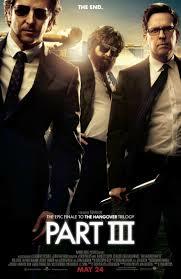 Director Edgar Wright, along with actors Simon Pegg and Nick Frost, have tackled many genres in the films they've made together, including zombie romance, SHAUN OF THE DEAD, and buddy cop action, HOT FUZZ. Now they're all back for an alien invasion meets pub crawl shenanigans with THE WORLD'S END. Oh, and there's beer. Copious amounts of beer. Synopsis: In trying to gain back his life after the events in NYC, Tony Stark has a new villain to fight. Please note that this is intended to be read AFTER you have seen the film as it it is completely jammed packed with spoilers. Which judging by how much it has made, most of you have probably already done. It's a shame that author Orson Scott Card is such a homophobic jerk because his novel, Ender's Game, is really quite stunning. It's a fantastic sci-fi story that starts small then builds and becomes this grand tale by the end. I have hope for film and even in the film makers to fix some of the problems in the book, which I'm sure I will get into when the review comes out. Now that the first teaser is out, we can begin to see the real scope of the world that was orginially just limited to my imagination. But most importantly, we get our first, ever so tiny, glimpses of the zero gravity battle room, which was the most exciting part of the book. After an alien race called the Formics attacks Earth, the International Fleet prepare for the next invasion by training the best young children to find the future leader to lead the International Military. 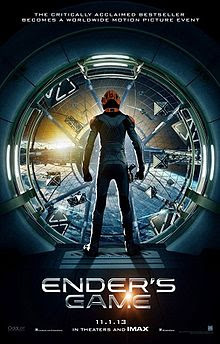 Ender Wiggin (Asa Butterfield), a shy but strategically brilliant boy, is pulled out of his school to join International Fleet and attend the legendary Battle School. After easily mastering the increasingly difficult war games, distinguishing himself and winning respect among his peers, Ender is soon ordained by Colonel Graff (Harrison Ford) as the military's next great hope, resulting in his promotion to Command School. Once there, he's trained by Mazer Rackham (Ben Kingsley) himself to lead the military into a war that will determine the future of Earth and the human race. It's a big weekend everyone. This is probably the first "official" weekend of the summer movie season. If trekking out to see IRON MAN 3 with the masses doesn't appeal to you, then here some films to watch that survived the great purge of Netflix titles that happened recently. 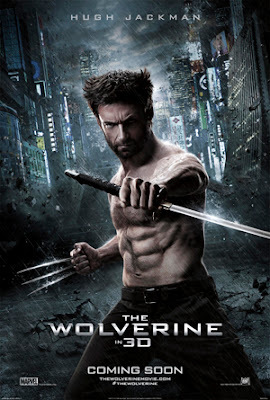 We got our first official trailer for THE WOLVERINE about a month ago, and now we're getting even more footage with the release of footage from CinemaCon. 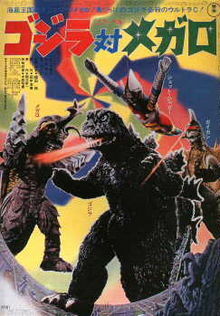 The footage is less about showing the story and more about action, fire, and swords. So I've been a on a bit of a documentary kick lately and today I came across a cool series of documentaries that are all 3-5 minutes long. 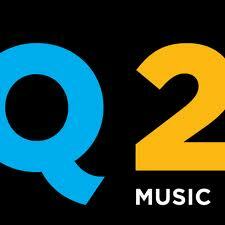 Q2 Music, the online station of New York's 105.9 WQXR, along with NPR Music are showcasing the practice studios of various musicians. I hadn't heard of this series before but one of my favorite musicians today, Dan Deacon was the first instalment while the newest one is about "1-bit composer" Tristan Perich. Check out both of them below and use the links to check out the rest of the series.